The initial grape selection is carried out by the associated growers who dedicate their best parcels to the Alasia premium line. In the cellar, a further selection is carried out, according to the growing year, to maintain intact the varietal characteristics of each cultivar and to guarantee an authentic and genuine expressivity. In-vineyard quality is obtained thanks to an integrated defence protocol based on the principles of sustainable farming, aimed at safeguarding the oenological heritage thanks to a reduced environmental impact. How are the best parcels selected? Maintain a constant quality, suffer less environmental stress, have deeper roots and a lower number of bunches but the quality of the fruit s more concentrated. Carried out in two phases, so as to select the grapes that have reached an optimal stage of ripening. 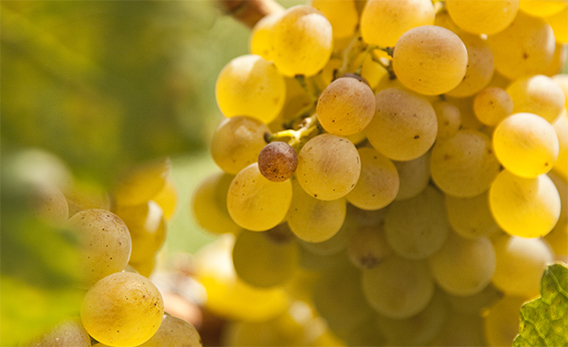 Exposure facilitates the photosynthetic activity of the plants, guarantees an even ripening of the grapes and increases their sugar and alcohol levels. Selected according to the grape varietals being cultivated. To avoid precocious oxidation and preserve the varietal fragrances. Alasia is a name that evokes the history of the Monferrato and the love nurtured by Araldica for the hills of Piedmont, its history and legends. Only daughter of the Emperor Ottone I, the beautiful Alasia falls in love with Aleramo, a knight of extraordinary valour but without a dowry. Unable to marry, the couple flee to Italy and legend has it that they took refuge between Asti and Acqui Terme, on the border of Castel Boglione where the ruins of the so-called Ca’ d’Alasia (Alasia’s house) still stands. After various vicissitudes and adventures, Ottone forgave the couple and granted to Aleramo the stretch of land he was able to cover on horseback in three days. Aleramo, who was perfectly familiar with those lands, covered the length and breadth of the hills to the north and south of the river Tanaro, now known as the provinces of Asti and Alessandria: hence the birth of the Monferrato, «exultant with castles and vineyards/ land of Aleramo», so masterfully described by poet Giosuè Carducci.